I have an opinion: Jay Z should bring back the umlaut in his name permanently. It’s just an opinion, but I think it makes sense. In case you forgot, there was a time when “Jay Z” used to be hyphenated. It was “Jay-Z” before he unceremoniously changed it to “Jay Z,” effectively annoying the world’s 12 or so gainfully employed fact-checkers. Honestly, “Jay Z” simply looks prettier in print. But “Jaÿ-Z” would look even better, so why not change it? He did, kind of. Jay Z is holding a concert on May 13 where he’ll perform some of his best album tracks (I would personally love to hear “Feeling It” live. Bummer: It’s livestreaming exclusively on Tidal). 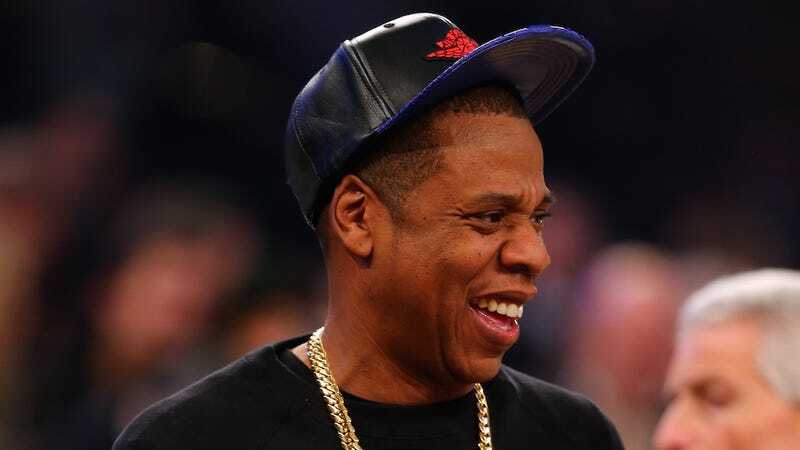 On the website of Jay-fronted streaming menace Tidal, Jay Z has suddenly become Jaÿ-Z – and only a few years after he quietly dropped the hyphen, too. He’s also started using Jaÿ-Z on recent Facebook posts. For a minute, I was excited. What’s great about “Jaÿ-Z” is the mystery that the umlaut holds—Why? How is it pronounced? Juh-Z? Does Jay Z (or, Jaÿ-Z) have German roots? This is sad and should not be the case. It should be Jaÿ-Z.